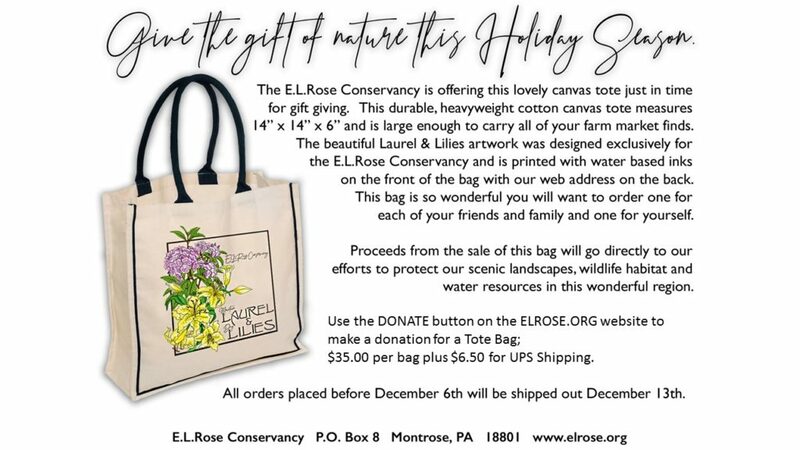 Support the Conservancy fund raising activity by donating during the Holiday Tote Bag Fundraiser. The beautiful and durable Tote Bags are designed by local artist Peg Miller. You can use the DONATE button on the web site; choose “Conservation” in the donation category. In the “Additional Comments” box, enter “Tote bags”. Figure the Donation amount based on $35.00 for each bag plus $6.50 for UPS shipping.